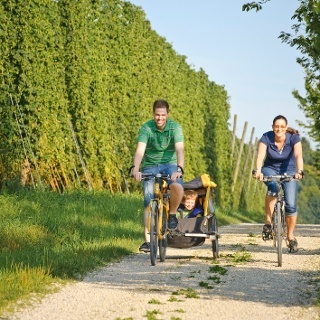 A splendid one-day eBike tour through the Abens Valley and the world’s largest continuous hop-growing area awaits you. You leave Abensberg heading south. After crossing the Abens and the Gillamoos fairground you follow the Abens cycle path towards Biburg. 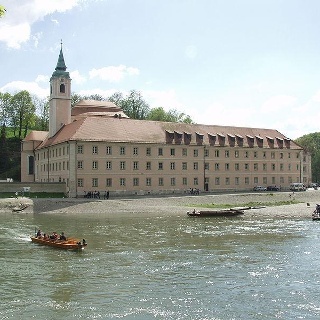 The abbey church in Biburg is one of the most important monuments from the Romanesque period and stands in an idyllic setting bordered by a little stream which flows into the Abens behind the abbey building complex. Passing the Chapel of the Redeemer, you carry on out through the wetlands of the Abens water meadows to Siegenburg. The German Hop Picking Championships are held here every year, in the heart of hop-growing country. 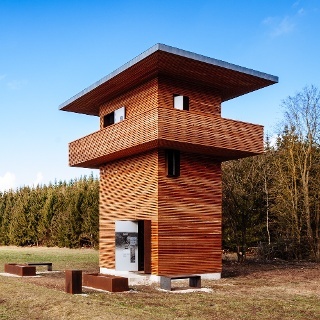 Shortly after Siegenburg you have the option of shortening the tour before reaching Train by taking Hop Tour Connecting Road 1 towards Niederumelsdorf. In that case, though, you would miss one of Hallertau’s finest beer gardens, at Schloss Ratzenhofen. So, after taking a break, continue via Elsendorf until just outside Mainburg. Here you leave the Abens Valley and follow Hop Tour Connecting Road 2 as far as Walkertshofen. Strolling through the old town of Abensberg is pleasant, and the municipal museum at Herzogskasten is worth visiting. 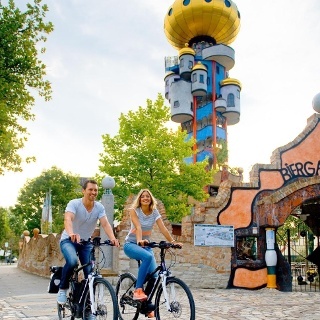 A visit to the unique Kuchlbauer Tower designed by Friedensreich Hundertwasser and the KunstHausAbensberg exhibition centre are not to be missed. From Elsendorf it’s worth making a detour towards Mitterstetten and Horneck for an impressive view of the hop fields in the Hallertau ‘hop heaven’. This tour is conveniently accessible by public transport. Abensberg is on the Regensburg-Ingolstadt railway line and thus has very good rail connections. Timetable information is available from Bayern Fahrplan. 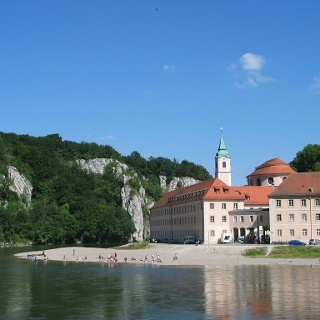 Also, at weekends and on public holidays Leisure Bus 3 with a bicycle trailer runs on the Kelheim to Mainburg route. Between Abensberg and Mainburg the bus can be used to bridge one section of the Hollerdau Tour. Timetable information is available from the VLK website. Free parking is available at the big Gillamooswiese car park in Abensberg, not far from the old town, except at fair time in early September.